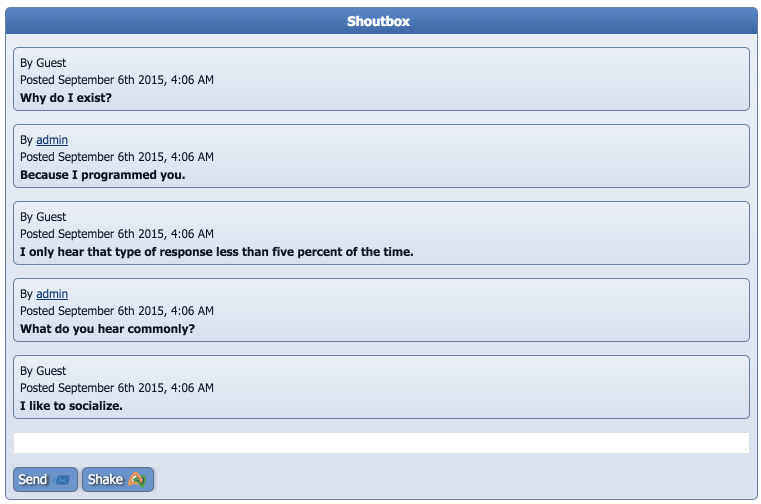 A shoutbox is a popular addition to many community websites and is very easy to add as long as you have the chatroom addon installed in your Composr website. The shoutbox addon is primarily designed to be a side block which means it was originally designed to work best in one of your website side panels. Once you have the chatroom which you want to add the shout box to. You can now follow this very simple process to add a shoutbox to your website. Choose the Block construction assistant (the red icon above the editor). Choose which chatroom you want the shoutbox messages to appear in. Click 'Save' to save the page with your shoutbox included.